The team at Elephant’s Eye are committed to creating a bespoke safari experience offering off the grid luxury in keeping with their eco-friendly philosophy. Stay in one of eight luxury chalets at this eco-lodge set on a private concession at the edge of Hwange National Park. Elephant’s Eye is situated in the northwest corner of Zimbabwe about 2.5 hours south of the mighty Victoria Falls. Stay in one of eight private tented chalets that have been designed to blend into their natural environment whilst still offering uninterrupted views of the nearby watering hole and the surrounding African bush. Each chalet is screened by indigenous trees to give you absolute privacy and features an en-suite bathroom and outdoor shower, fireplace and wrap-around viewing deck. The contemporary interiors offer the perfect balance between luxury and comfortably with an African touch. Select a half day or full day game drive and experience all that Hwange National Park has to offer with your professional guide. The park is known for it’s large elephant population it is also a great place to see lion and the endangered painted dogs. A picnic lunch will be supplied on full day game drives. Exploring the bush on foot gives a completely different perspective. Embark on a three hour walk with an expert guide as you track wildlife and experience smaller flora and fauna that would be missed on a safari vehicle. Observe game from a different perspective as you venture into the bush on horseback. Get up close and personal as antelope accept you as part of the heard. Feel part of your surroundings as it is just you, the horse and the bush. Sleep under the stars in The Eye, a raised luxurious star bed. Located just 15 minutes from the main camp next to a watering hole The Eye provides the opportunity to view a wide variety of animals coming and going, especially in the early morning. 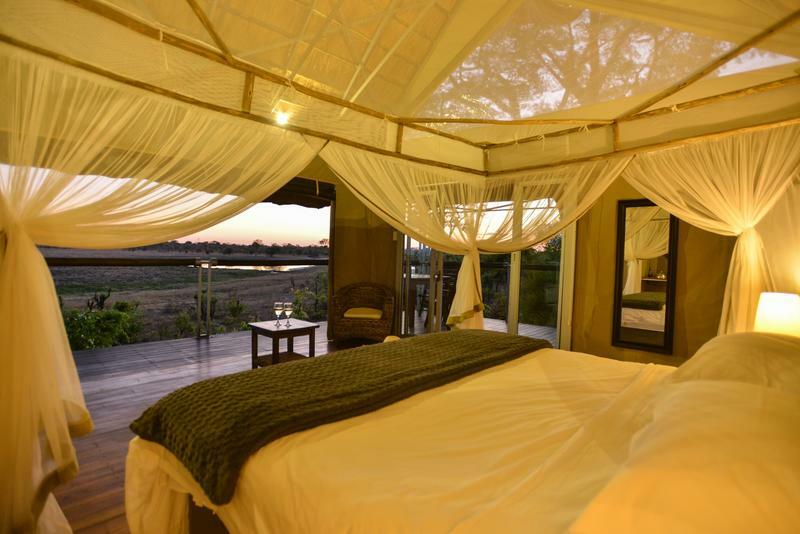 The deck is on 2 levels, with a bathroom underneath and a luxurious queen bed, covered with a mosquito net, up top providing the most amazing views of the waterhole and surrounding bush. Guests are escorted at sunset to the deck for sundowners, before being left to enjoy the tranquility of the surrounding bushveld as the day turns to night. 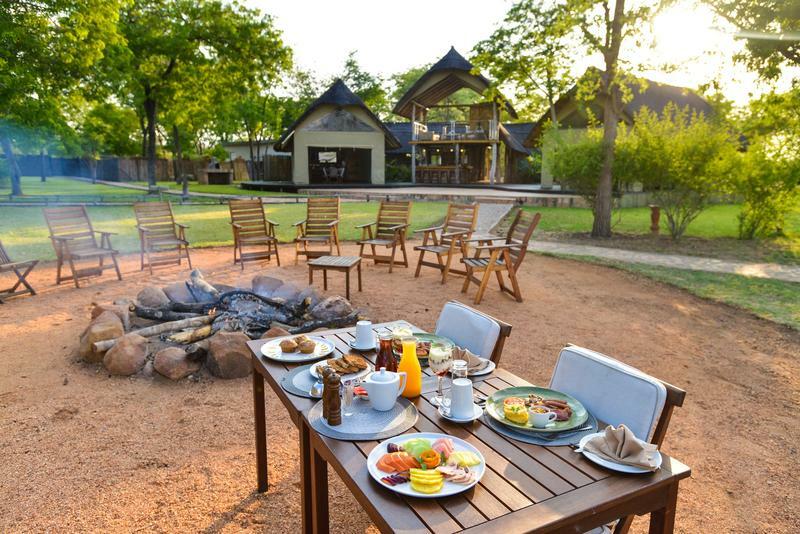 In the morning, guests are collected and taken back to the main lodge to enjoy a delicious breakfast.